SmartPlant is raising £200,000 investment on Crowdcube. Capital At Risk. An award-winning app designed to make plant care easy. 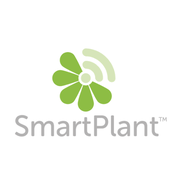 SmartPlant has over 320,000 downloads & 6 commercial partnerships in the UK & USA. The app allows people to add plants to their virtual garden by scanning the plant barcode to receive bespoke care advice & access to 100 regional experts. Plant care advice is often over-complicated and aimed at enthusiasts. We know modern plant owners want simple and easy to follow plant care advice, a centralised management platform and the confidence to grow the plants they want. Plant retailers want access to a new and younger customer, to digitise their offering, reduce expensive horticultural customer service and improve customer retention rates. The app allows people to add plants to their virtual garden and receive specialist care advice. They can also identify unknown plants and pests, get monthly care info, and chat with over 100 regional experts. SmartPlant technology allows people to scan the barcode of their new plants and in return receive free premium membership and subsequent care advice, which is accompanied by 3 products and offers that link back to their original retailer. The US and UK markets are large and addressable, in the US 74% of US households engage in gardening of some description. In the UK 27 Million people partake in gardening and younger people spent more than double the national average on their gardens last year. The Gardening and Outdoor Living Market is forecast to grow to £183.8bn by 2018. To see the rest of the SmartPlant pitch, join now. Join to read more information about the SmartPlant team, documents, and what other investors are saying about the pitch.